Got Bounce? 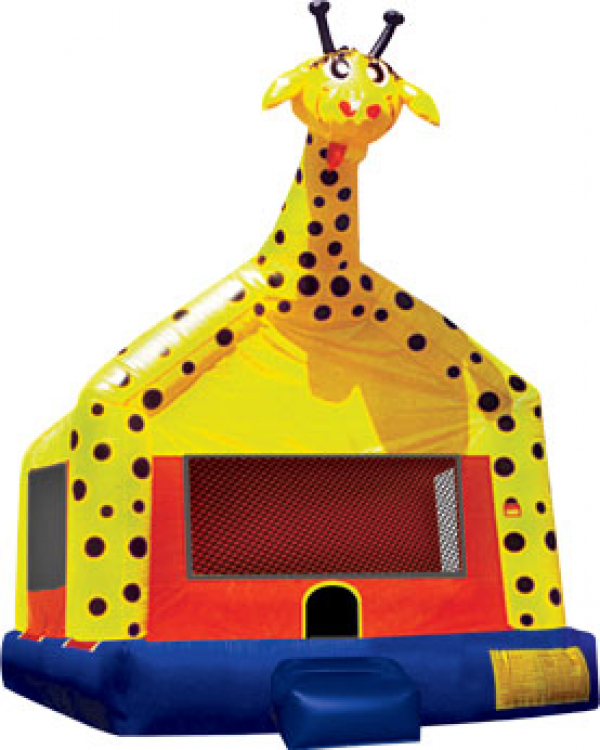 Our Giraffe Jump provides 200 square feet of pure bounce, perfect for all size gatherings! Bouncing puts you in a state of health and fitness, improves your sense of balance, provides an aerobic effect for your heart, strengthens your muscles, increases capacity for respiration, results in a better mental performance, promotes body growth and repair, and comes in all your favorite shapes and themes! 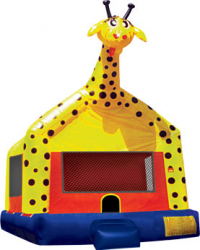 Our highly visible Giraffe Jump is made with fire resistant mesh around all sides allowing spectators to view easily. This safe and fun inflatable is still a favorite for all ages.